CA, May 2018: BlackBeltHelp is pleased to announce that Yuba Community College District has decided to implement its after-hours & weekend IT and LMS helpdesk support. 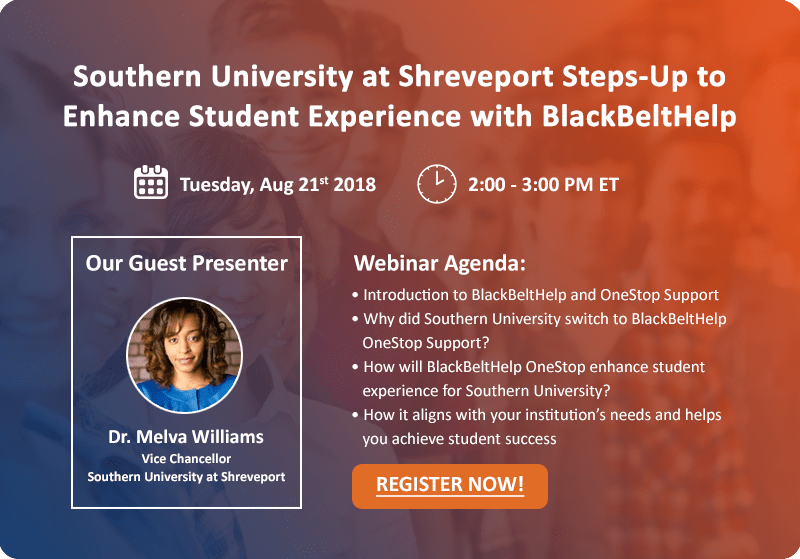 Under this collaboration, BlackBeltHelp’s certified customer service staff will work as the extension of YUBA’s IT support team and enable a better support environment for their colleges’ end-users. BlackBeltHelp’s after-hours support to YUBA community college district will help it achieve its goal of providing round-the-clock assistance to its students. Customer service staff at BlackBeltHelp will resolve its end-users’ queries related to IT instantly, escalate the issues to onsite team in case they remain unresolved, and deliver high-quality, cost-effective support after business hours. “24/7 support availability is imperative to make your end users feel cared for. No after-hours support means dissatisfied students which is an impediment to your student success measures" said Ron Bhalla, CEO, BlackBeltHelp. “We are looking forward to help YUBA establish a strong IT support infrastructure at their campuses and help them achieve student as well as institutional success" he further added. The Yuba Community College District, recognized as a fully accredited 2-year community college by the University of California, the California Community Colleges, and the United States Department of Education, has two colleges: YUBA College and Woodland Community College. BlackBeltHelp has been a leading provider of help desk products and services ranging from IT, LMS, admissions & enrollments, financial aid, advising to facilities and switchboard, in the US higher education landscape for the past 7 years. With our OneStop Student Services Platform, we help institutions integrate their silo-based transactions into OneStop support for better flow of communication and data across different departments and create a truly student-centric support experience.